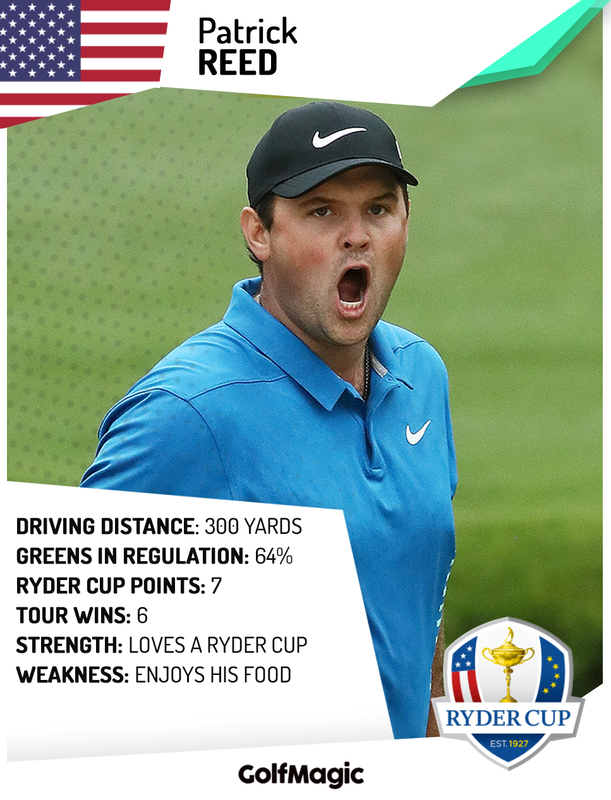 Reed starts the mind games early by going against the bookmakers and labelling USA as "underdogs". Patrick Reed believes United States are the underdogs heading into the Ryder Cup at Le Golf National in Paris from September 28 to 30. While many golf fans out there, and the bookmakers, consider the Americans to be red-hot favourites to win consecutive Ryder Cups and a first on European soil in 25 years, the Masters champion feels much differently. Or is this just mind games already. “We’re going to go in and feel like we’re the underdogs and try to play the best that we can,” said Reed, who has qualified for his fourth Ryder Cup appearance. The bookmakers currently make United States as narrow 8/11 favourites, with Europe at 11/8. The draw is priced at 12/1. Reed believes the Europeans record on home soil stands them in good stead, but that the Americans are ready for the battle. “We can’t wait to get over there and try to end the drought of not winning overseas,” he added. “I feel that kind of takes a little bit of pressure off us and puts more pressure on the European team because they’re the ones that have had so much success overseas, that everyone thinks we’re going to come in and they’re going to win the Cup again. The last time the United States won the Ryder Cup in Europe was in 1993 at The Belfry. Who do you consider favourites for the Ryder Cup now the teams are set? Share your thoughts on our social media channels over on Facebook, Instagram and Twitter.